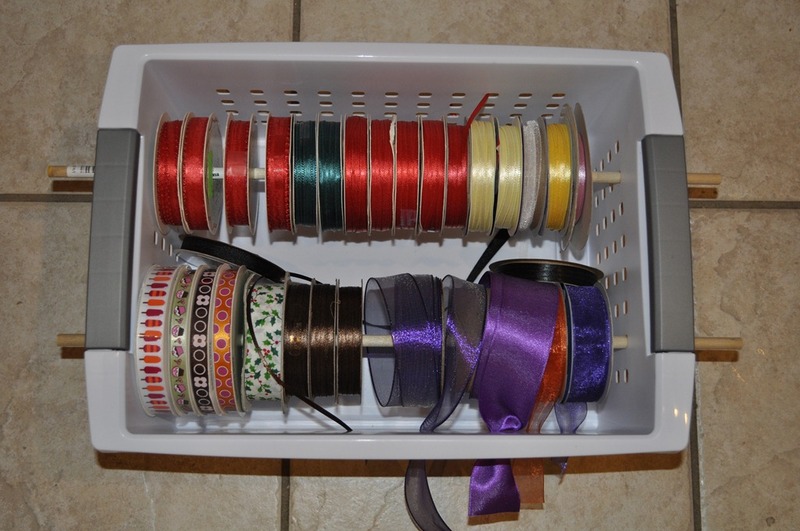 Any one who does any kind of crafting has a few spools of ribbon. They tend to be a pain to store and keep track of. That is why I loved this idea that my friend over at I Think I can Moms had. 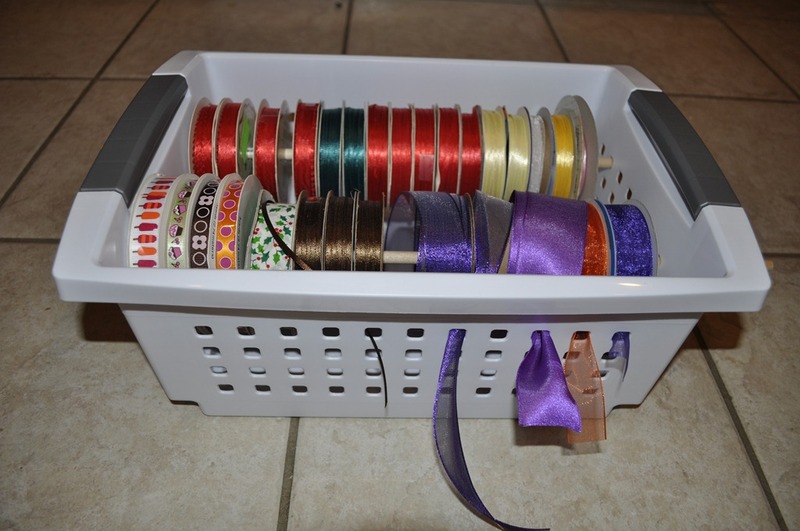 She took a pretty inexpensive plastic bin and used a dowel to make a ribbon holder. 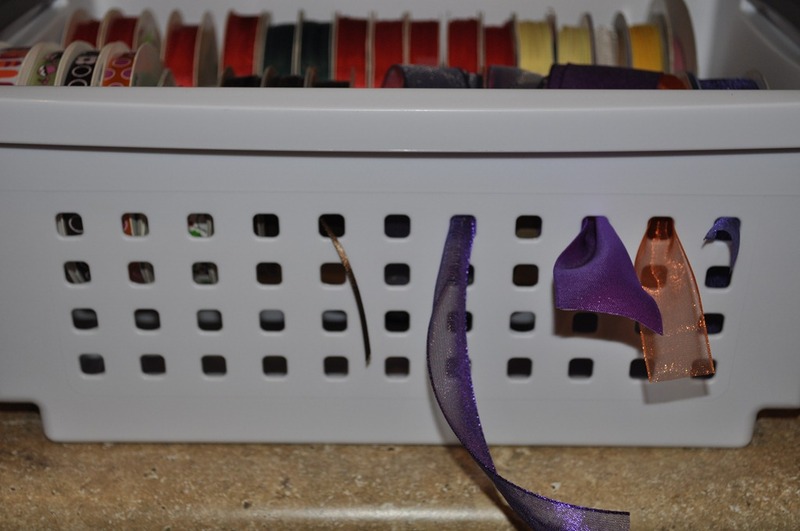 Then end result is quite handy and keeps all your ribbon in one easy place! First you need to get a plastic bin that has holes around the outside and a 1/4 inch dowel rod. I got both of these things at the local Walmart (they only place in town to shop). I then cut the dowel in half. Then just insert the dowel through one side of the bin, place your ribbon on the dowel, and then insert the dowel through the other side of the bin. Slip your ribbon through the holes in the bin and then when you need to use the ribbon just pull out the desired amount and cut! Keeps things in order and all in one place.